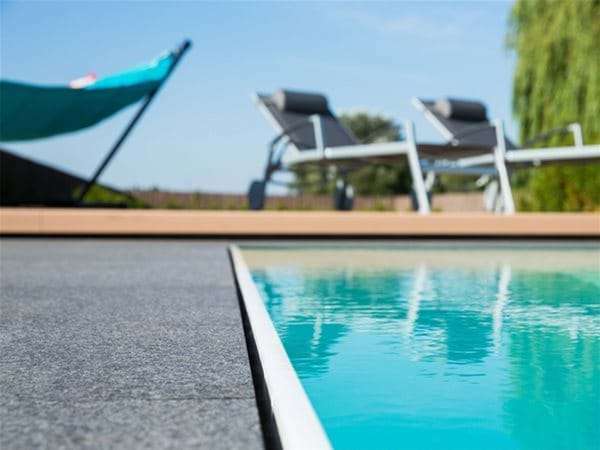 With 20 years of experience and more than 70 qualified employees, NIVEKO produces over 450 bespoke pools every year. 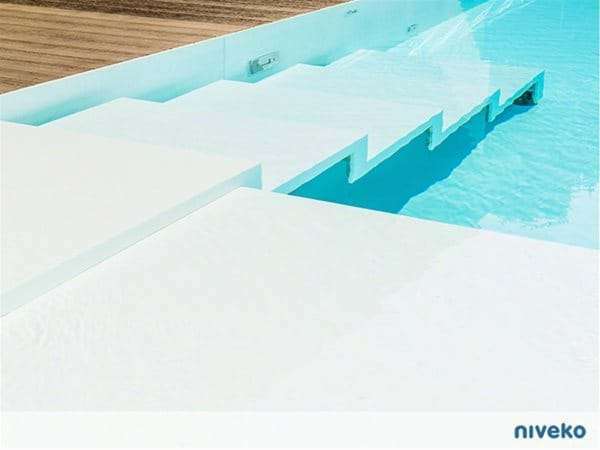 Thanks to the continuous monitoring of design trends and use of cutting-edge technology, NIVEKO has become a synonym for a pool of uncompromising quality throughout Europe. 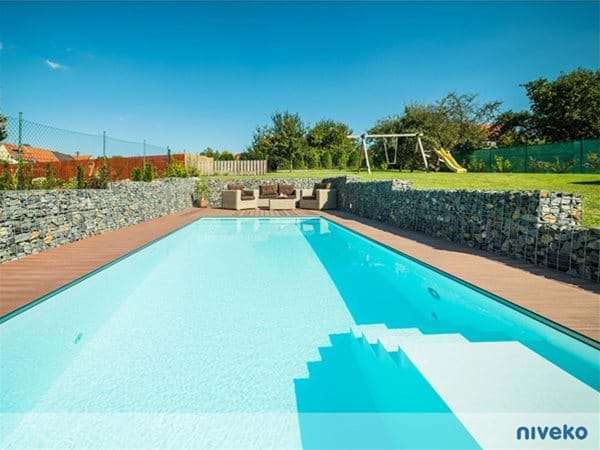 Every NIVEKO pool is designed and made to the owner’s exact requirement. 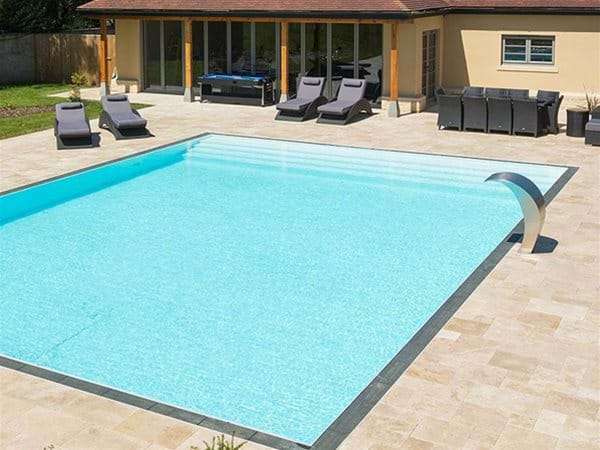 With unrivalled delivery and installation options, NIVEKO’s flexible designs ensure that pools can be transported in one piece or in sections for assembly on site. 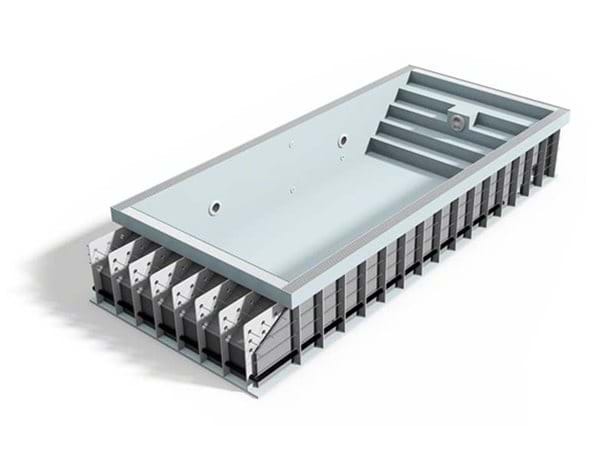 Available for all MULTI, ADVANCE, EVOLUTION and UNDERFLOW pools, Niveko’s premium Whisper option delivers a unique solution consisting of an overflow gutter specially designed for silent operation. Perfect for domestic applications, the Whisper solution delivers silent performance and maintains the tranquil atmosphere of existing home environments. 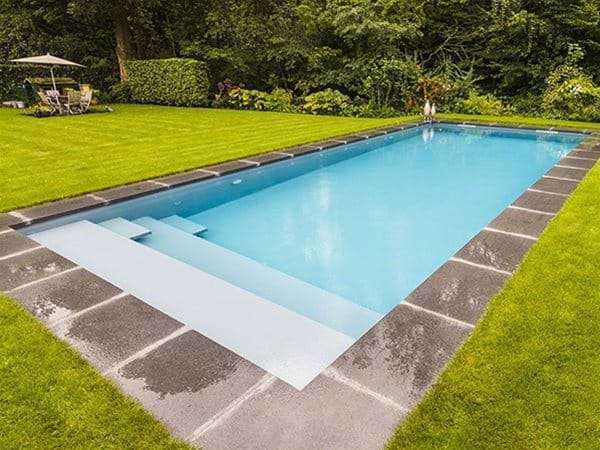 In addition to our traditionally styled rectangular pools, Niveko can produce pools in almost any shape and style that you desire. 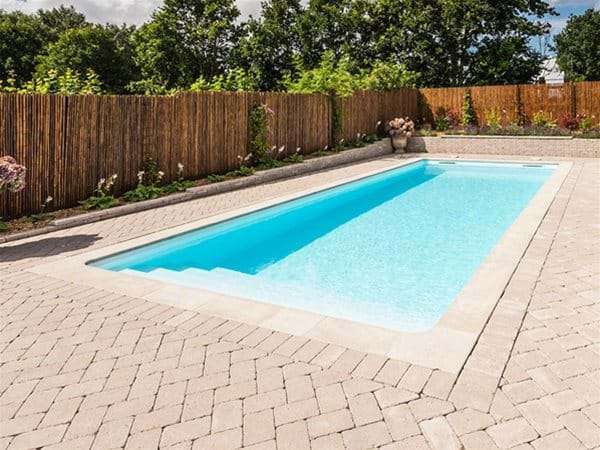 Each pool can be uniquely tailored to your configuration. 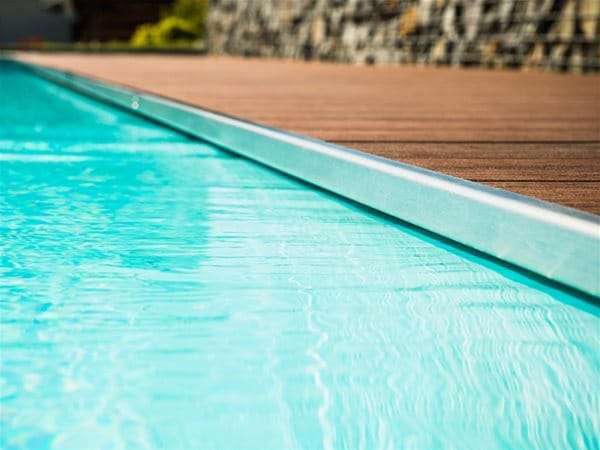 Sleek Stainless Steel fittings, Automatic Pool Cover Solutions and Counter Current Swimjets are just a few of the vast array of customisable features available for your Niveko Pool. 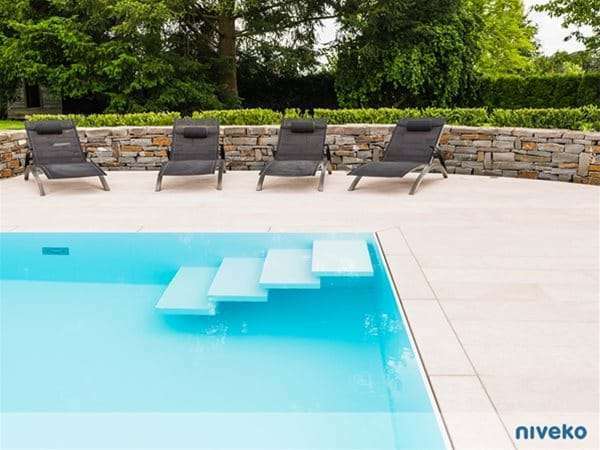 Niveko offer a range of eight different pool entrance step types, ensuring the perfect balance of style and convenience. 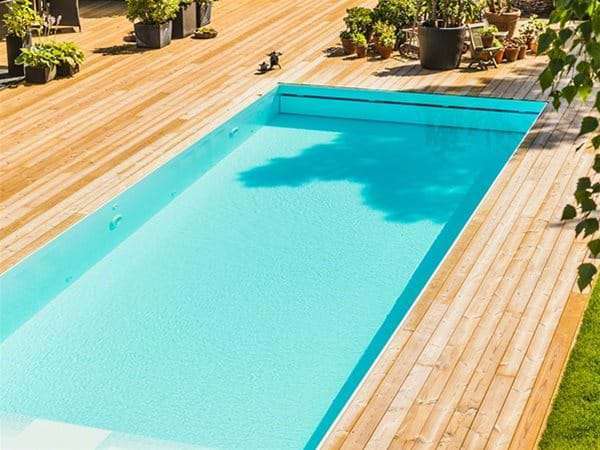 A slatted cover will protect your pool and also insulate it, which ensures more cost-effective operation. 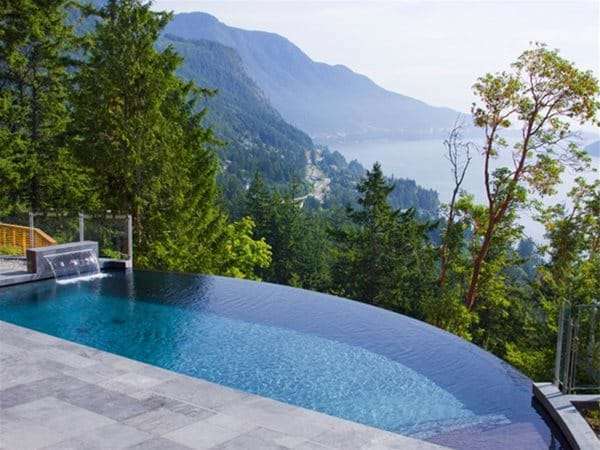 The natural and unobtrusive appearance is aesthetically pleasing and blends in perfectly with any environment. 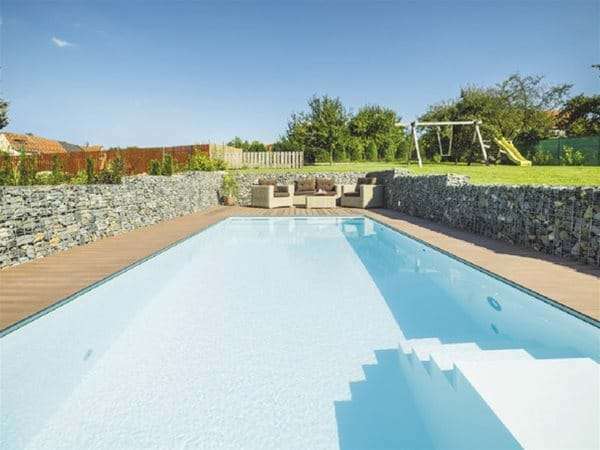 Niveko Pools are avaiable in a range of contemporary shades of Blue, White and Grey. With an unlimited range of design options available, Endless Summer is proud to deliver the most versatile solution on the market. 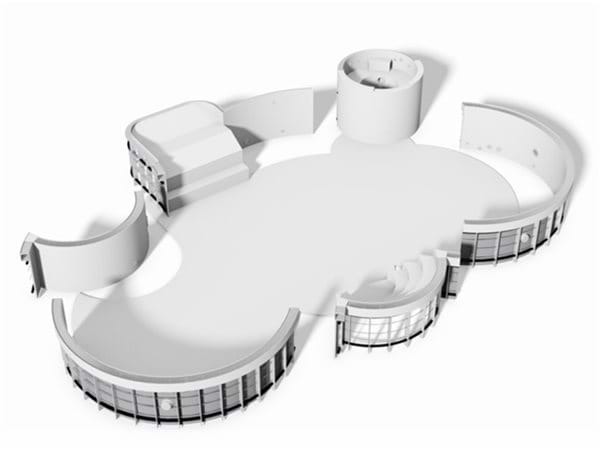 A Niveko pool means flexibility, ensuring each pool can be adapted to meet the customer’s vision. 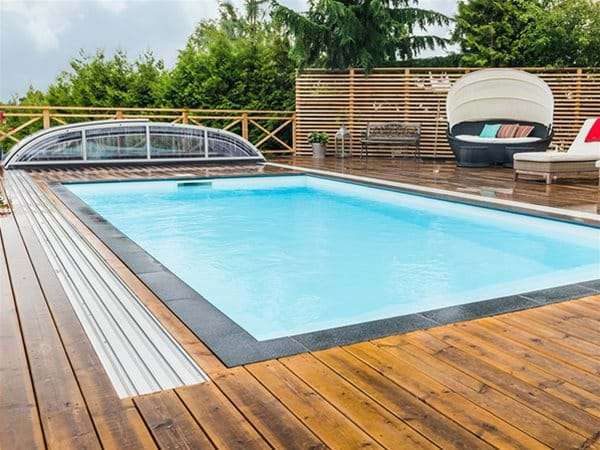 The versatility and flexible installation options of the beautiful Niveko one-piece were recently demonstrated in Bishop’s Stortford, Hertfordshire when Paul Mortimer decided to add an impressive pool hall extension to his house. 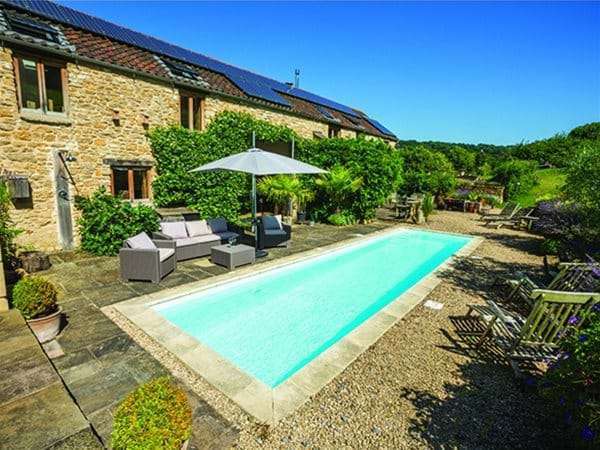 Within weeks of being ordered, the pool was installed and the extension was duly completed.